The app, NurseDash, aims to help senior living providers find clinicians like med techs, licensed practical nurses (LPNs) and certified nursing assistants (CNAs) for temporary shifts without having to use a staffing agency. Created in 2017, NurseDash was originally designed to help hospitals cover nursing shifts. But it expanded into the senior living industry last October, and has since garnered significant interest within the space, including from Houston-based Retirement Center Management (RCM), as well as from New Haven, an assisted living and memory care provider headquartered in Bastrop, Texas. The tech company has additionally attracted some investment interest from seasoned senior living veterans. Charles Turner, a former president with PinPoint Senior Living, has an ownership stake in the company through his new Invidia for Seniors investment platform. Turner is also taking on an active consulting role with NurseDash, and is helping the company tailor its platform for senior housing while working in a businesses development capacity. NurseDash has also worked with Village Capital, a venture capital firm that trains and invests in entrepreneurs and young startups in a variety of industries. While NurseDash collaborates with just five senior living companies today, the company’s client list is quickly growing, and may soon include some other notable providers, according to Jake Kohl, co-founder and COO of the Houston-based tech startup — though he declined to mention specific names. The NurseDash app works like this: senior living companies post open shifts, including where and when they need a clinician to show up. Users of the app — including med techs, LPNs and CNAs pre-screened by NurseDash — can browse those openings, then select a shift that fits their schedule. The app has two main draws: for health care clinicians, it’s a way to pick up an extra shift here or there without having to commit to minimums; and for communities, it’s a way to bolster their workforce without using staffing agencies or leaning on overtime, both of which can prove costly. RCM currently uses the app to fill about 10 shifts a week in six of its 22 communities, according to Angie Fleenor, senior vice president of clinical operations. The app could find widespread industry appeal, especially in light of the ongoing senior living staffing crisis. 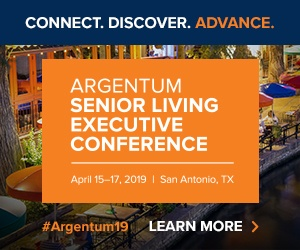 The senior living industry employed about 892,000 people in 2016, industry association Argentum has previously noted, citing statistics from the U.S. Bureau of Labor Statistics. To meet future demand, the sector will have to recruit and retain 300,000 more employees by 2026. “We envision this as empowering caregivers to [get shifts] where it works for them and when it works for their schedule, which is helping people to get back in the workforce,” Kohl explained. Using NurseDash could also help hospitals and senior living providers dip into each other’s clinical workforce, a practice that isn’t very common across either sectors. And, the company is bullish on the senior living as a whole, and will continue to grow its operations in the market even as it bolsters its presence in hospitals.